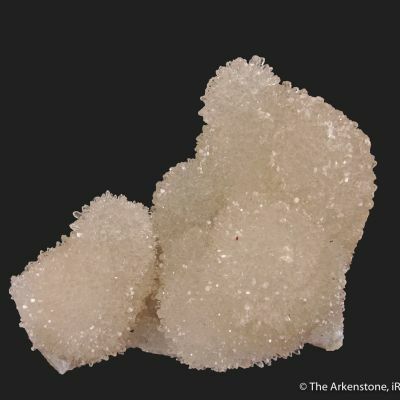 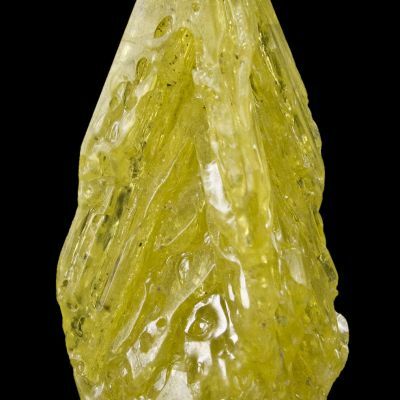 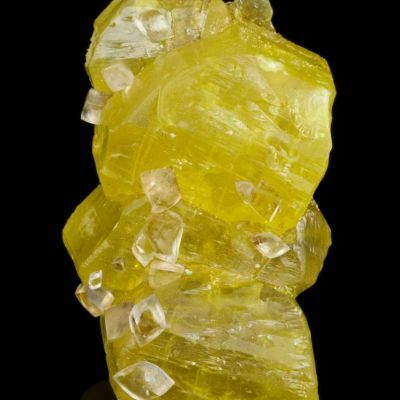 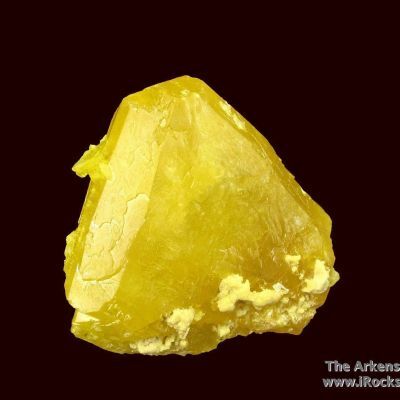 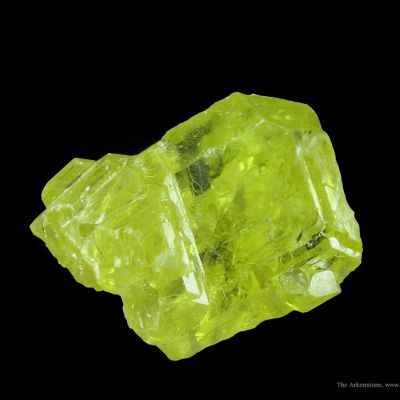 This is a near floater crystal of a doubly terminated lustrous and gemmy crystal of Sulfur. 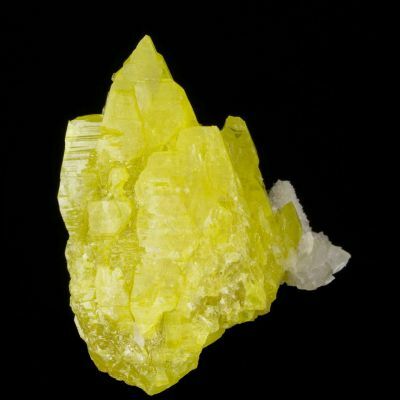 The color is the classic bright lemon yellow. 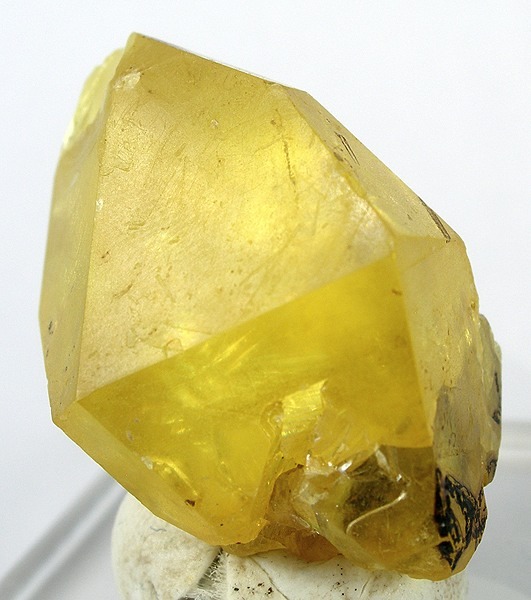 A lovely locality specimen and a very gemmy crystal.